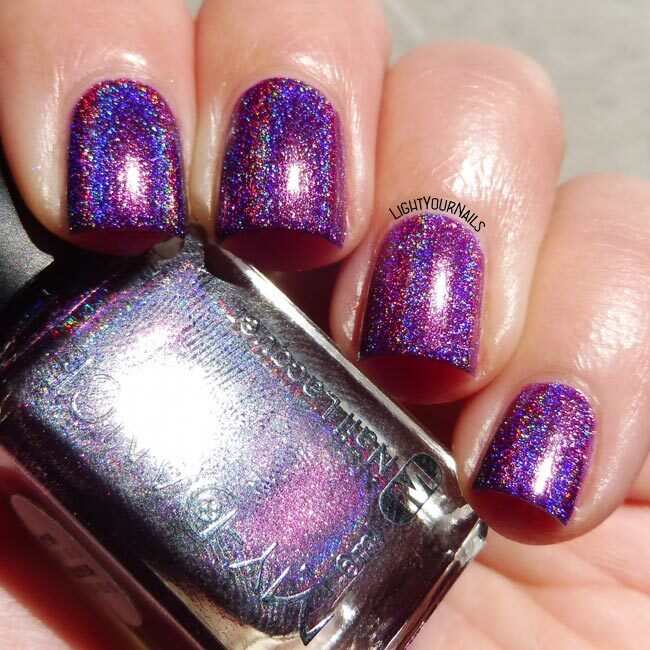 MyDance Dark Purple Holographic | Light Your Nails! I just can’t accept Fall being here so I’m gonna show you a terrific holo polish today. 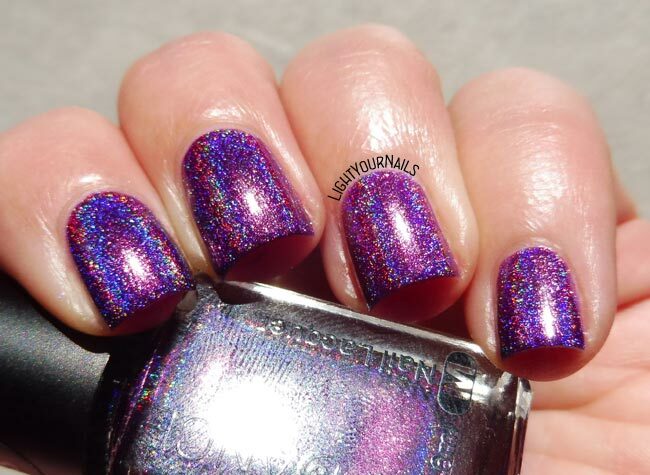 MyDance Dark Purple Holographic* is a purple with linear holo effect that flashes blue. Application is a dream and it’s a one coater. Drying time is fast and it has a glossy finish. My camera freaked out for the holo flashes and I could only get 2 photos in focus out of more than 100. That’s weird! Wow. It was a while since I’ve last used such a powerful holo polish and I am obviously in love with it. And I totally need more colours from this range. 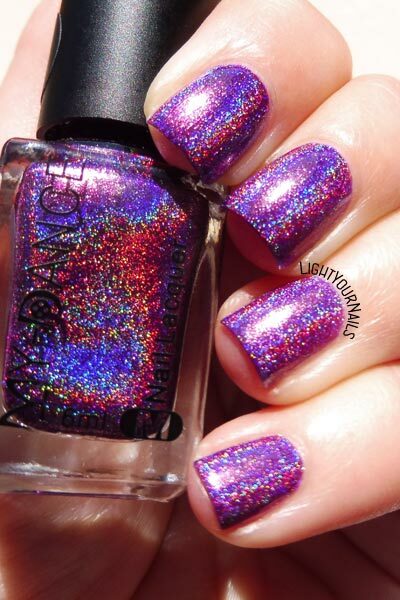 If you like it, too, you can shop it at BeautyBigBang, it’s item J2448-7C 6ML Dark Purple Holographic Nail Glitter Polish. 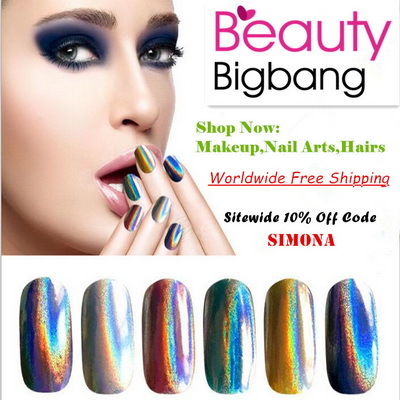 You can use code SIMONA for a 10% off, too. What do you think of it? Pretty amazing, uh? Did you already know MyDance holo polishes? E' la prima volta per me!! E dal vivo è anche meglio! E ti assicuro che dal vivo è ancora meglio. La mia macchinaccia non gli ha reso giustizia! Thank you! I really love it!